Professor Cramer earned her Ph.D. in Politics from New York University in 2001. Her dissertation, an examination of federal acknowledgement for American Indian tribes, was named 2001 Best Dissertation in Race and Ethnicity by the American Political Science Association's section on Race and Ethnicity; it was published in 2005 by University of Oklahoma Press, under the title Cash, Color, and Colonialism: The Politics of Tribal Acknowledgment, and re-released in paperback in 2008. 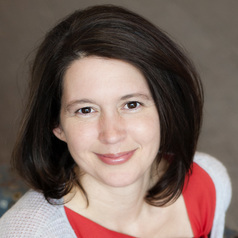 Since 2004, she has been engaged in ethnographic and participant-observation field work with homebirth midwives, advocates for midwifery, and families who practice non-normative parenting (including homebirth). An article on her fieldwork methodology was published in 2009 by International Journal of Qualitative Research, and she is at work on a book related to midwifery regulation and activism, funded by a grant from the National Science Foundation. Professor Cramer teaches a wide range of interdisciplinary undergraduate legal studies courses, including Law and Social Change, Reproductive Law and Politics; Critical Race and Feminist Legal Theory; and Contemporary American Indian Law and Politics. She is president of the national Consortium of Undergraduate Law and Justice Studies Programs, is a team leader for Strategic Diversity Action at Drake University, and an open and affirming ally for all students.